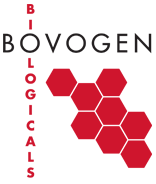 (*) The closed loop filtration train employed is fully disposable, to ensure that all product contact parts are only used once. The analytical testing performed on Bovogen Biologicals FBS is performed by suitably qualified and certified external laboratories and test results are reported on the Certificates of Analysis. Our sterile FBS is manufactured in a closed loop system to provide a final product with low endotoxin and haemoglobin levels. The process is monitored from blood collection to sterile filtration (3 x 0.1µm) in a fully validated and dedicated filtration facility to ensure the highest level of quality is maintained. 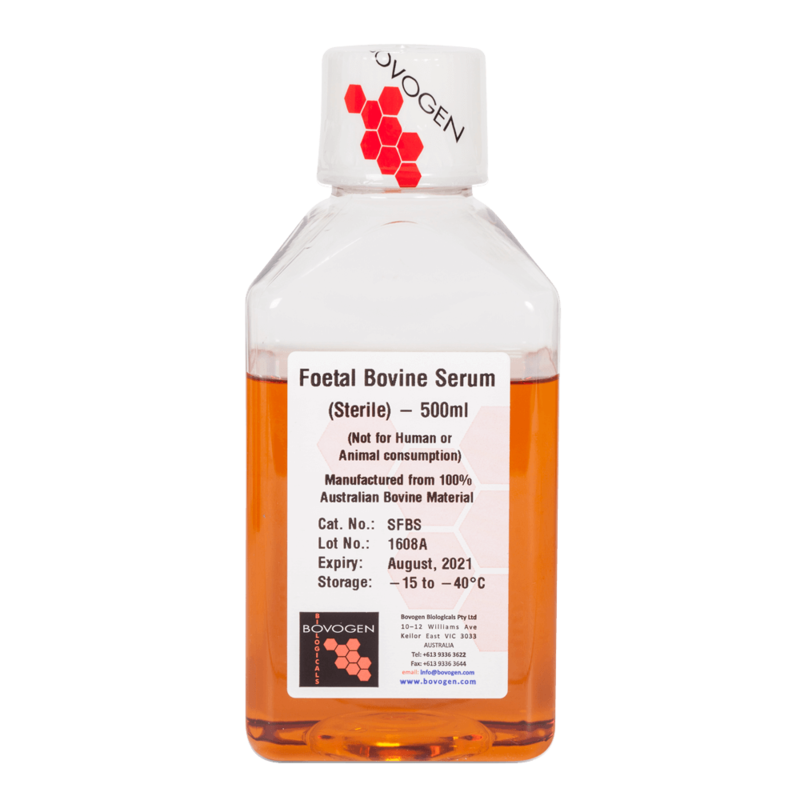 Australian origin raw serum is collected from registered export abattoirs under the supervision of Government Veterinary authorities. In line with our quality systems, the origin of Bovogen FBS is fully traceable and is supported by the availability of full collection and manufacturing records. Bovogen Australian FBS origin is fully traceable, so we can guarantee our origin. Bovogen Biologicals Australian Origin FBS has a Certificate of Suitability (RO CEP 2007-361-Rev 02) from the European Directorate of Quality Medicines (EDQM). A Certificate of Analysis is supplied with all FBS orders. A Certificate of Origin is available on request. Product is shipped and stored at -15 to -40°C.